If you were involved in a car accident in Miami, the first thing you should have done was seek medical attention to check for injuries. The medical records from immediately after your accident can go a long way toward supporting your claim and ensuring the best possible outcome to your personal injury case. That said, not all injuries present symptoms right away. Internal injuries such as brain injuries often do not show symptoms until hours or days after an accident. In the case of traumatic brain injuries, symptoms may not appear for weeks or months, and may only be noticeable because of their increased prevalence. For instance, one or two sleepless nights after an accident may not be a cause for concern; chronic insomnia in a person with no history of sleep disturbances, however, would be. If you were involved in a car accident and given the all-clear, you should remain vigilant for certain symptoms in the weeks following the incident, just in case an injury originally went unnoticed. Traumatic brain injuries can be mild to severe and can cause a wide variety of symptoms. For instance, minor TBIs typically result on a bump on the head, mild concussion, and nothing more. Moderate TBIs may result in nausea, dizziness, headache, and other discomforts over a short period of time, but symptoms typically fade over time. Severe TBIs, on the other hand, can be life altering and result in disability, personality changes, aggression, chronic fatigue, tinnitus, and other disconcerting and permanent changes. Some signs that are present in the immediate aftermath of an accident but that may dissipate overtime include headache, fatigue, dizziness, disorientation, and discomfort. Of course, these symptoms are not at all uncommon following an accident and are generally not a huge cause for concern. It is when these symptoms persist or worsen that they become signs of a more serious underlying issue. 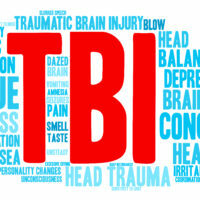 How Can You Differentiate Between Typical Car Accident Symptoms and the Symptoms of a TBI? More severe TBIs are characterized by slurred speech, loss of coordination or cognitive abilities, pupil dilation, and increased loss of consciousness. If you or a loved one was involved in a car accident, it is important to remain aware of the person’s symptoms and behaviors following a car accident in Miami. Lookout for worsening health and erratic behaviors—or even behaviors that are out of character—in the weeks following the incident. Your vigilance may help identify hidden symptoms and prevent devastating and life-altering consequences. Managing TBI symptoms can be a costly and ongoing endeavor, one that many people do not have the time nor the resources to follow through with. The compensation from a car accident injury claim settlement can help fund the care and treatment of these types of brain injuries. If you or a loved one was involved in a car accident in Miami, be on the lookout for common symptoms of TBI, and report any unusual changes to your healthcare provider. With a proper and timely diagnosis, you may be able to file a claim for damages and recover compensation from the liable party. To learn more about TBIs and how you can recover compensation for your injuries, contact Spencer Morgan Law today.